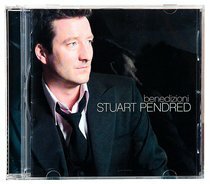 Stuart Pendred, classically trained singer and actor, has had a broad and successful career. Founder, Director,and Performer with the award winning 'Tenors Unlimited' saw him performing alongside Sting, Lionel Richie, Beyonce, and the Royal Philharmonic Orchestra at a special, sold-out performance at the Royal Albert Hall. He has entertained celebrities, statesmen, and royalty. Stuart performed for 18 months in Trevor Nunn's West End production of 'Les Miserables', appeared alongside Barbara Streisand in 'Spend, Spend, Spend' and a variety of Shakespeare productions.